Are you someone who loves chemistry with a dream to teach it? Do you want to take the Praxis Chemistry Content Knowledge test to fulfill those dreams? We all know one thing: preparing for the Praxis Chemistry test is stressful. Plus, you’re well aware that failing this test means you won’t be able to start teaching. This could hurt your career and cause you to lose money. Take a look at these real Praxis Chemistry study guide book reviews. Do they sound familiar? confused about what types of questions are actually on the exam. frustrated because the Praxis Chemistry test study guides only cover the basics. aware there’s a lot to cover and you don’t want to miss anything. You’re not alone. These are common issues people face when preparing for this exam. But don’t worry, everything you need to know to overcome these obstacles and pass-the-Praxis Chemistry test—the first time—is right here. Look at the graph. As you can see, the above topics are arranged by number of Praxis Chemistry questions. Chemical Reactions; periodicity has the highest number of questions (25) on the test. You can find the Praxis Chemistry study companion on the Education Testing Service (ETS) website. There you’ll find all of the main topics and subtopics listed. Use this technique to go beyond the basics covered in the Praxis Chemistry study books and practice tests. Figure out exactly what you need to review. Next, we’ll explore exactly how and when to use these study materials to prepare for the Praxis Chemistry test. When you finish reading the section, go back to each post-it note. If you can’t remember, reread what’s underneath and then write your own summary on the post-it note. When you’re finished studying the chapter, collect all of the post-it notes with summaries and put them on a piece of paper. Review the paper with all of the post-it notes at the end of each week before the Praxis Chemistry test. Using different modes reinforces the information you read/write about and you’ll learn a lot more about the topic in less time. You might be wondering how do all 125 Praxis Chemistry selected response questions look like on the exam? There are no writing prompts or constructed response questions. Which of the following materials is the least biodegradable? You can also review all of the Praxis Chemistry practice questions in the ETS study companion. Underline words like “least” or “most” when you take a practice test. If no, how can I change this? Can I explain this topic to someone else easily? Can I think of at least two real-life examples of this topic? Can I say three key takeaways about this topic without looking at my notes? After you answer “yes” to all of these questions, you’re ready to make excellent Praxis Chemistry Content Knowledge practice test questions. If you create all your questions before this point, you might miss key information that will be on the exam. 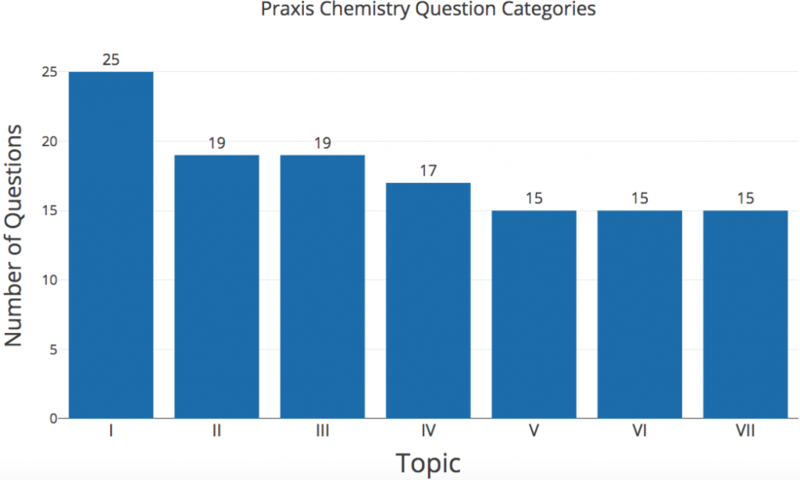 When you’re studying tough topics or the reading starts to get a little dry, try the SQ3R strategy to learn your Praxis Chemistry II content knowledge. This strategy starts before you start reading and takes you through reading and reviewing big amounts of information―a lot more than your average study guide book! Survey the chapter or section by skimming and noticing key things, like charts and diagrams. Read headlines and subheadlines only. Questions: Write at least three questions about the key things you noticed in Step #1. Make the questions about things you want to learn for the Praxis Chemistry test. Example: If a headline is about non-biodegradable materials, your question could be: What are the top non-biodegradable materials? Read to find the answers to your own questions from step #2. This’ll help you stay interested. Recite: Answer aloud the questions from step #2 and say any details you don’t want to forget. Review: Answer the following question: The key takeaway from this chapter is? Keep this answer in your notes to review once a week, each week. Don’t delay! Get different Praxis Chemistry study guide materials you can use for all of these tips. Look for chemistry textbooks for intro college courses (these could even be from your local community college). 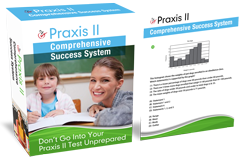 Use Praxis Chemistry practice tests, the tools and tactics outlined above. If so, you’ll quickly overcome your biggest obstacles and achieve a passing score. Go to: Why Frantic, Busy Praxis Test Preparation Is A Form Of Being Lazy….